Snow running, it's an aquired taste! Running is natural for us, we're built for it. Back when we were living in caves, the success of early man depended on what is called Persistence Hunting, where a group of hunters would run after prey until it got so tired it slowed and could be caught. If you're able bodied, there's no good reason why you shouldn't take up running. But isn't it bad for my knees? No, a study in 2011 concluded that "...there was no related increase in joint space narrowing, rather emerging evidence of an associated increase in cartilage volume and decrease in cartilage defects on magnetic resonance imaging. Given that optimizing cartilage health is important in preventing osteoarthritis, these findings indicate that physical activity is beneficial, rather than detrimental, to joint health." In fact, if you looked it up, you'd see there are many benefits to running, reduced risk of cancer, higher fertility, it can help with depression, reduce blood pressure, reduce symptoms of the menopause and help reduce your risks of (type 2) diabetes and in certain cases even reverse it. There are many benefits, more than I can be bothered to list here. The main point is, running really improves your state of mind and fitness levels. You will be a happer person because of it. The obvious benefits and the reason most take up running are weight loss and a gain in fitness. Running uses around 100 calories per mile (more if you're heavier than average) and you'll continue to use calories for the rest of the day while your metabolism is raised and you recover from your run. If you were to do Parkrun on a Saturday morning you could use a quarter of your recommended daily calorie intake in less than an hour. There's a knock on effect too. If you've done a run, you tend not to want to eat a bucket of KFC for a snack and you start to crave better food as your body asks for what it needs to rebuild which means you get healthier, fitter, thinner and better at running at an increased rate. But there's no way I can do Parkrun. 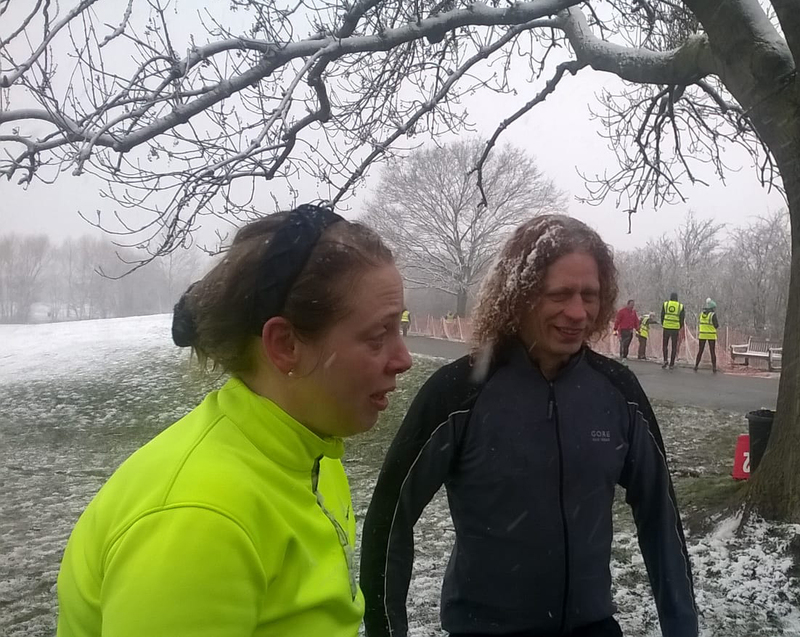 Yes you can, maybe not right now but there is no good reason why you can't do Parkrun with the appropriate training. Get along to your local event and have a look, there are all abilities and Parkrun is special in that it is geared towards the novice and/or slower runners and walkers, they are proud of the fact that average run times have got slower each year the event has been running because it means more beginner and novice runners are taking part. These apps break down the training you'll need to do into manageable, progressive chunks. For the first few sessions you'll be running for just a few seconds and recovering. As the weeks pass the amount of time you run increases and the recovery reduces until you can join it all up and run 5km. If you're still not sure and walk through Well Wood then you probably know who we are from the pictures on this website, have a chat with us or email using the link above and we'll see if we can convince you it's worth taking up running. If you're not new to running and want to improve, you could have a look at our training plans, don't get intimidated by them if you're not up to this level (most of us aren't! ), it's to show what progressive training plans look like when you want to get faster.